~~ Romans 8:28-39 (NIV84) ~~ And we know that in all things God works for the good of those who love him, who have been called according to his purpose.... If God is for us, who can be against us? ...Who shall separate us from the love of Christ? Shall trouble or hardship or persecution or famine or nakedness or danger or sword? ... No, in all these things we are more than conquerors through him who loved us. For I am convinced that neither death nor life, neither angels nor demons, neither the present nor the future, nor any powers, neither height nor depth, nor anything else in all creation, will be able to separate us from the love of God that is in Christ Jesus our Lord. Photo by Carley Cooper. All Rights Reserved. Well, here we are at the end of another year. Have you made any New Year’s resolutions? I’ve made the typical ones... I’m gonna restart my healthy living program, stick to it, and reach my goal weight for the final time. Other than that I don’t tend to make many new resolutions. But, you don’t want to hear about those anyway, I’m sure. As you look back on the past year, what do you see? What memories are the highlights and the lowest points? What did you learn? How have you grown? Did your relationship with God grow as well? My year started out on a high point and quickly turned into a downward spiral. An upsetting incident triggered a bad Bipolar Disorder episode which lasted six months. I went into a series of breakdowns and had the worst mixed episode I’ve ever had. (A combination of depression and mania episodes that quickly change from one to the other are what BPD people call a ‘mixed episode.) The incident that triggered all this was when things went bad between me and my counsellor. I lost my spiritual therapist and one of my most important friends at the same time. I had more medication changes and adjustments than I’ve ever had in my life. Counseling and therapy was at a close second to that. On the positive side of things, I have learned I am stronger than I thought I was. I also came out the other end with some incredibly strong relationships. I know that God will not lead me through anything that I’m not strong enough to handle. This year; my writing improved, my patience was enhanced , the peace inside my heart has grown. I had a man say to me that he loves to see me around our apartment building because I ‘smile with my eyes.’ It made me feel good to hear that. The highlight of my year happened this past week. As I write this I’m in the car traveling with my family. Eight of us had a vacation in Florida together. We spent four of our vacation days at Walt Disney World. It was my first time there. Wow! The Magic Kingdom really is... well.... magical! I got to have my photo taken with most of my favorite characters. Eh hmm... the big guy himself kissed me twice. Yep, Mickey Mouse kissed my hand and my cheek. How cool is that?! I also got to take a river boat ride, a train ride, an African safari (at the Animal Kingdom park), beat an African drum, experience a tiny taste of Italy (my dream vacation) and a few other countries (at Epcot), and watch the big Disney Christmas parade live (twice). It was a once in a lifetime experience and I highly recommend it to everyone who is a child at heart. However, you know what I think the highlight of my vacation was? It wasn’t the music, colors, animals, people, or the magic of the kingdom. It was Christmas Day and it happened during one of the parades I watched going down Main Street, Disney. There were two people who wore t-shirts; and written on the back in large letters was “Happy Birthday Jesus”. It really brightened my whole vacation. Another day, I saw a sky writer write “Jesus” and “God” across a clear blue sky. It filled my heart with joy to see these things. It’s what I think about first when I remember the wonderful days that I just experienced with my family. That counselor that I had lost the friendship with was eventually worked out. It’s not the same as before. I miss it, and he’s told me he does as well. However, we’ve both grown from our experience together. He’s told me many times that God does not waste anything. My problems have helped me grow in so many ways. What problems did you have in 2012? How did God use them to create a blessing for you? Share with me in the comment section below. I’d love to hear your stories. ~~ Dear God ~~ Your ways do not always make sense to our limited human minds, but I know that everything I go through will be used by You for my own good, if I keep Jesus in focus. Thank You Father for everything, including the difficult times, for I know that those times mean You care enough about me to want to mold me into someone like Jesus. In Jesus name, AMEN. ~~ Romans 3:12 (NASB) ~~ All have turned aside, together they have become useless; There is none who does good, There is not even one. 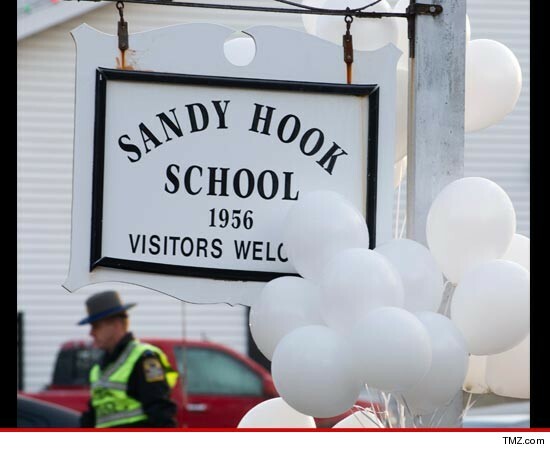 Like the rest of the world, I am in shock because of this latest tragedy in Newtown, Connecticut. But I can’t help but wonder, are we any different? When I first heard the details of this story, I couldn’t help but go back and remember the Columbine massacre. My reaction to that one wasn’t quite like most other reactions either. That was my first thought when I saw the horror of the Columbine bloodbath. However, those first thoughts and reactions weren’t about the victims. My thoughts went to the killers. 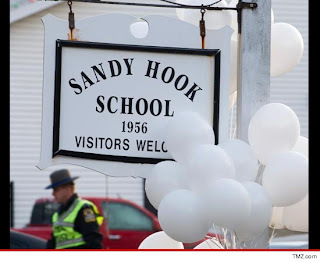 “What did they do to those two guys to make them feel so much pain that they wanted to kill other people?” “They” meaning the other kids at school; the ones who were now victims. Of course, now I understand no one can “make” us feel anything. It’s our choice to react a certain way or not. But, my first sympathies were for the “bad guys” I know what it’s like to be teased and tormented to the point that I longed to escape that pain. Don’t get me wrong, I’m not excusing the killings. It’s wrong to kill. Period. And, our hearts ache more when the victims are innocent children. My first thoughts for Sandy Hook Elementary was simply a heavy heart for everyone involved, though I did have to wonder what kind of pain the killer must have been feeling to feel the need to do this. Some want to blame mental illness, but those thoughts come from the stigma surrounding mental health issues. Truth is mental health patients are four times more likely to be a victim than others, but that’s a whole other blog by itself. It’s taken me these several days since the tragedy to write this because I simply couldn’t get my thoughts together. Then, a friend on Facebook posted this message. It sums up my own feelings very well. The Truth is, we ALL have within us the same evil capability that was acted upon today. NONE of us are exempt from this nature... it affects us all. A quick glimpse at God's Word confirms this... Romans 3:23 "All have sinned and fall short of the glory (Holy standard) of God." and Psalm 53:3 and Romans 3:12..."There is no one who does good." Apart from Christ, we are NOTHING. Apart from Christ, we are lost, degenerate, evil, self serving creatures who are capable of any and all degrees of evil. There is a fine line that separates the perpetrator of the horror that played out in CT and China from you and me... It is called the Grace of God. There but for the Grace of God go I.... It is easy to say, "How could anyone do this?" 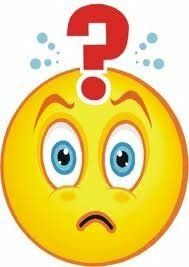 Rather we should ask "What keeps me from acting the same way?" If your answer to that question is anything but JESUS... I implore you to pull that Bible off the shelf, dust it off, and begin to read about the degenerate state of all men... and how you can be saved from evil... both inside and out. God have mercy on us all. You see, according to scriptures, hatred is equivalent to murder (1 John 3:15) and lust is equivalent to adultery (Matthew 5:28). Have you ever hated? Felt lust? Who hasn’t? That means, in God’s court we are on equal footing with killers and adulterers. The whole idea that one sin is worse than another is a man-made concept. However, we have been saved from our sins and the pending sentence due to us. Jesus paid our fines and completed our sentence for us when he died on the cross. The one catch is that you have to be willing to reach out and accept this gift by believing in Him and what He’s done for us. If you haven’t accept this gift, do it now. Tell Him that you want Him to be Your Lord and Savior and that you are willing to completely repent. We have no way of knowing if the killers in these massacres knew Jesus, or if they had asked Him for forgiveness. But I assure you that if they asked, they were granted forgiveness. None of us has escaped doing evil, but God loves us. He’s waiting for each of us to come to him. All you have to do is ask. ~~ Dear God ~~ Merciful, gracious, loving Father we know that we have all sinned and that not one of us has escaped the clutches of evil. Thank You for sending Your Son, Jesus to take my place on the cross. I want to know you personally. I know that I have done wrong and I am truly sorry. I am willing, with Your help, to turn away from my old life of sin and turn to you. I believe that Jesus took my place on the cross and died to pay my sentence. Please come into my heart and my life. I want Jesus to be the Lord and Savior of my life. I receive Him right now. In Jesus name, AMEN. If you just prayed that prayer for the first time, please contact a bible-based church for more direction in your new life. Congratulations. It’s the most important decision you will ever make. An article has been published about me in the dailySpark (the official blog of SparkPeople.com- my healthy living program). I am a success story. This means my pics & story can be used in other places in the media. Also note, that my 'Before' pic... is not at my biggest weight. I didn't have a pic of me at my biggest. Meet Carley Cooper (username SPARKYCARLEY), a SparkPeople member who pledged to heal her body so she could heal her mind. Read on to learn about her inspirational journey! ~~ Matthew 7:12 (NIV) ~~ So in everything, do to others what you would have them do to you, for this sums up the Law and the Prophets. I’ve been planning this list for a while. What you believe in says a lot about who you are. Have you ever stopped to seriously pay attention to what you believe in? Do you know yourself as well as you think you do? Here are a few of the things I believe in. it’s time for me to hear what you believe. Share your beliefs in the comment section below. ~~ Dear God ~~ Your ways are perfect. I am not perfect. Thank You for giving me the freedom to form my own opinions and beliefs. Thank You for this wonderful country of Canada that gives us so many privileges and freedoms that others around the world do not have. Please help me to always share my beliefs about Your Son, Jesus, with all that I meet. In Jesus name, AMEN. My NEW website. Please sign up to follow by email or RSS feed. Carley Cooper... everything in one site! Connect to the latest book news, blogs, and more! Worship Melodies and Tin Roof Sundae sites will remain the same. All book reviews have been moved to the new site, and will continue to be posted there in the future. Also, coming soon is the launch of another new website called Breaking the Window, which is about fighting stigma against Mental Health and Abuse issues. If you are a professional in these fields and would like to write a Guest Author Post, or if you simply have a story to share, I encourage you to contact me. I'd love to post your help or your story. Sign up to follow by email or by RSS feed. Thank you. Plus, if you haven't signed up to follow Tin Roof Sundae blogs yet, please feel free to do so. It's about 'Mostly fun and curious stuff by a bipolar Christian'. Just tidbits of this 'n that to help brighten your day. 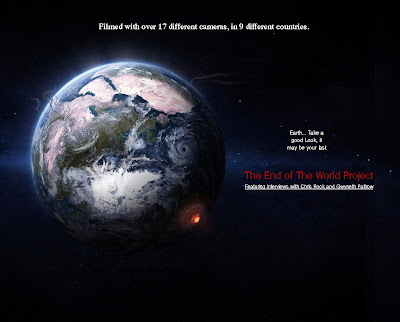 Here's an update to the last post called ‘The End of the World Project’, which is a documentary film in the midst of being made as we speak. The trailer video I posted was an incomplete version. One of my followers made the comment "That is one of the most intriguing video projects I've ever heard of. I'll be looking out for it...". Here is the complete version. There will be another few cuts uploaded soon plus 15 minutes of film. I’m in the trailer! How cool is that? I’m excited about this film as such, but more importantly is that we are to remember God is in charge. We have nothing to fear as long as we stay focused on Jesus. Please pray for this young man, Angel, who's making this film that it will be a success and that God's will be done. ~~ Mark13:32 (NASB) ~~ But of that day or hour no one knows, not even the angels in heaven, nor the Son, but the Father alone. You know those days when life seems mundane, like the same old pattern is a big rut you’ll never get out of. You get up in the morning, go to work, come home, have dinner, play on the computer or watch TV. Then tomorrow it starts all over again. Well, for me, Friday was absolutely not one of those days! Woo Hoo! I got up, went to my volunteer job at my church like I do every week. It was a busy day, but nothing out of the ordinary. Then I came home, had dinner; and, here’s the fun part,... I was interviewed via Skype, for a movie called ‘The End of the World Project’. I spent over an hour chatting with a guy named Angel. He took me through a range of emotions as I had to seriously think about “what if...?” What if there is really something to this whole theory about our world not being our world anymore after next month? and, no doubt, other things that we haven’t even thought of. How seriously have you considered the question of “What about a nuclear war? Do think that's a possibility?” How about “Do you think there’s the possibility of a major pandemic?” or “Do you think there will be mass suicides?” What would the world be like on the flip side of a major disaster? Scripture tells us that no one knows the day or time when the world will end. We know we’re in end times, but we are also told it will come like when we least expect it (Mark13:31-36). Just a thought... we’re expecting December 21st (or at least many are). I’m looking forward to seeing this film, whether I end up in it or not. But either way, I know God will take care of me. He loves me. (If you’d like to participate in this production by doing an interview you can connect withAngel here on the NBC-Universal Crew Facebook page). This is not a movie based on a script, it's not a Hollywood production with a fake unrealistic scenario... This video is real. Nobody can be told the exact details about this film - The only way to understand it, is to actually see it for yourself. Featuring interviews with Gwyneth Paltrow, Willem Dafoe and Chris Rock. This trailer is not yet complete. It will be added again here when it is finished. ~~ Dear God ~~ You are so loving that we cannot even comprehend it. Only You know the day and time when this world will come to an end. In all our vast human knowledge, the bottom line is that the amount we know compares to enough to fill a thimble, against your knowledge that can fill the universe. Thank You for taking care of us, even in the pending doom that we have brought on ourselves. Please help us to keep our focus on Jesus, so that we can walk through the dark valley with our heads held high and without fear knowing that You will take care of our every need in every situation. In Jesus name, AMEN. Unexpected Christmas Hero by Kathi Macias is about a young woman and her two small children who loose everything and become homeless after her husband suddenly dies. It’s a story that touched my heart like no other. Josie Meyers struggles against the elements, trying to come up with enough food to keep herself and her children alive, and a daily battle to find a place to sleep indoors. She also has a battle inside; with her faith. Does God really hear her? Is He listening? Does He care? Her trust issues extend to those around her as well, especially now that she’s homeless and living on the streets in the dead of winter. Then she meets Rick; a homeless man who is rich in Spirit and shows the love of Christ to everyone he meets; but Josie isn’t sure he can be trusted. Then her family receives the most incredible miracle on Christmas Eve. They discover the true meaning of friendship and Christmas in a very Unexpected Christmas Hero. Kathi Macias takes us into this world of homelessness in a way that made my heart want to reach out and help. There are elements in the lives of homeless people that the rest of us do not even consider. There was a time when I believed that homelessness was a possibility in my own future. But thankfully, just like Josie Meyers, I have people that love me enough to step out of their way to help those in need simply because it’s what Christ wants us to do. A meal, a bed to sleep in for a night or two, a ride some place, a few dollars, a simple gift like a disposable cell phone, or a prayer can change the whole world for someone in need. Who are you going to be a hero for this Christmas? Homelessness is a tough topic for Christmas. What inspired you to use that as the basis for your annual Christmas novel?I’ve been involved in homeless ministries, to one degree or another, for decades, so I’m not new to this area of ministry. But I’ll admit that I had never considered writing a novel about it until someone in my family, who had personally experienced homelessness at one time in his life, suggested it. The more I thought about it, the more it seemed the perfect theme for a Christmas novel. After all, at Christmas we celebrate the birth of our Savior, who was pretty much homeless at that particular point in time and was born in a stable because there was no room for them at the Bethlehem Motel 6. Despite having previous ministry and even personal experience with the homeless, were there still some difficult times for you as you researched and wrote this novel? Absolutely! I always try to climb inside the skin of my characters, and when I thought of myself as the young mother Josie, attempting to care for and protect her two small children while living on the streets, I wept. There were times when my own children were little that we didn’t have a lot of material things and almost never had enough money at the end of the month, but we always had a roof over our heads and never wondered where we would find our next meal. When I consider that approximately 25 percent of the homeless in America are families (either single or dual-parent) with small children, it breaks my heart. 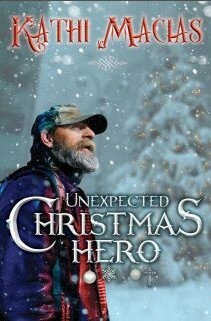 Can you give us a brief synopsis of Unexpected Christmas Hero?This is a story about a young family—husband, wife, two small children—who seem to be living the American dream. But when the husband dies unexpectedly, the wife (Josie) not only has to deal with that loss but quickly discovers that they are destitute. Her husband had lost his job some months earlier but didn’t want to worry her, so he hid it from her, hoping to find another position. He didn’t, and eventually ran up all their credit cards, took out a second mortgage on the house, emptied their savings, and even cashed in his life insurance policy. It doesn’t take long until Josie and her children lose their home and find themselves living on the streets, depending on the charity of others to survive. 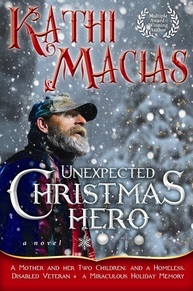 Then they meet Rick, a homeless Vietnam vet who takes them under his wing and, in a most surprising and sacrificial way, becomes their unexpected Christmas hero. Tell us about the “story behind the story,” which involves the man on the front cover. When the publisher sent the designer out to find someone to pose as Rick, the homeless vet in the book, he spotted a man on the street who looked amazingly like him. He asked the man—whose name is Willard Parker—if he would pose for the book cover. The man readily agreed and then explained that he truly was homeless and hoped having his picture on the cover would somehow help him find his family, particularly his grown daughter. We are doing our best to stay in touch with Mr. Parker and also to spread his story across the Internet and on radio/TV in hopes of fulfilling his dream to be reunited with his family. If anyone looks at the picture on the cover and/or recognizes the man’s name (Willard Parker) and knows the whereabouts of any of his family, we would truly appreciate it if they would contact me at ezyrtr@ca.rr.com so we can take the necessary steps to try and make this reunion happen. It’s available on any of the main online venues (Amazon, ChristianBooks.com, Barnes & Noble, etc.) and many stores nationwide. Can you give us your website info? Sure! 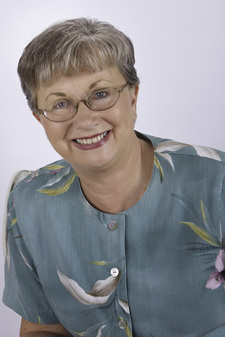 You can find me at www.kathimacias.com or www.boldfiction.com. I’d love it if people would stop by there and check out all my books, as well as the video trailers that go with them. They can also sign up to receive my weekly devotional, or check out where I’ll be speaking in the near future. Above all, click on “contact” and send me an email. I’d love to hear from them, and I promise to answer. I was given a complimentary copy of this book from the author in exchange for posting the author’s interview and/or book review on my blog. 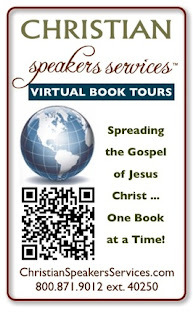 CSS Virtual Book Tours are managed by Christian Speakers Services (http://ChristianSpeakersServices.com). To prove you are not a robot or spammer you will receive a confirmation email. Click the link provided.